Note that all the brokers that we’ve listed are 100% safe, always regulated, and have all the necessary licenses to offer CFD trading. CFD Regulation Country by Country. The CFD trading services we are listing in this article is available in the following countries. Are you based in the United Kingdom? Canada? Australia or US? Find out if you can trade CFDs. 1. eToro – Copy Trading, suitable for beginners. eToro is the undisputed king of copy trading in the forex and CFD industry. Their copy trading function and their CopyFunds makes every other copy feature look inferior. On top of that, eToro has a clean interface, a large selection of assets, and all the necessary licenses to offer their services in Europe and beyond. And let’s not forget the largest social trading network in the world. 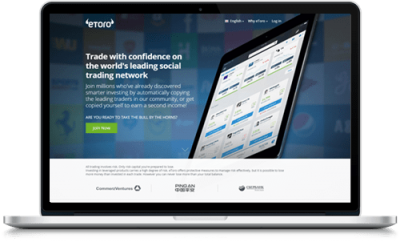 Needless to say, eToro is one of the best CFD brokers of all times. 2. Markets.com – One of our favorite CFD brokers. Markets.com has been our first-hand choice for CFD trading for many years. They offer over 2,000 assets, have an industry-leading customer support service, a modern platform, and provide one of the best investment experiences on the market. They also offer a very practical Markets.com demo account and several other perks that you can only expect from the leading CFD brokers. 3. 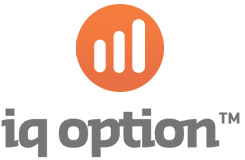 IQ Option – Low amount of assets, best CFD platform. 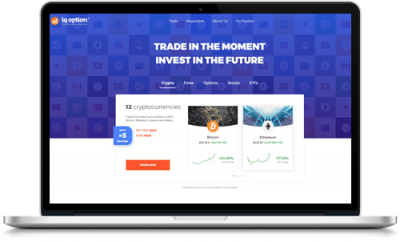 We have used to use IQ Option for trading for many years, now they are really taking their product to the next level and we are very excited about that since the new platform since it has helped strengthen the broker’s brand even more. In fact, IQ Option excels in every aspect and will remain a market leader for years to come. Definitely one of the best CFD trading platforms. 4. 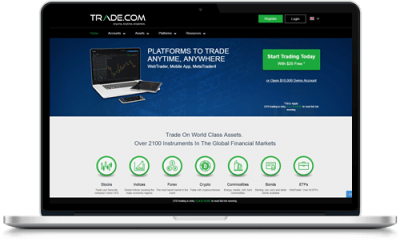 Trade.com – Good CFD platform and over 2000 assets. Trade.com is another top broker that we’ve used a lot over the years. Similar to Markets.com, Trade.com offers 2,000+ assets spread across several asset classes and their product is solid. 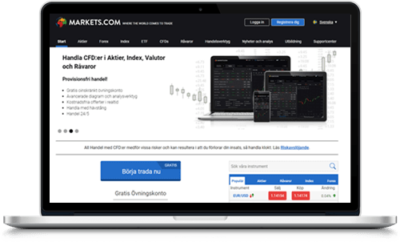 In addition, their customer service is available in more than 25 languages and they offer the well-known the MetaTrader 4 platform as well as the MetaTrader 5 platform. Let’s just say that if you’re a fan of the MetaQutoes products, this broker is for you. 5. 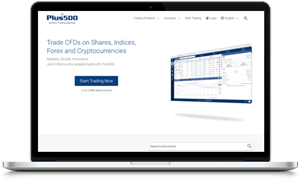 Plus500 – Very simple trading platform. Plus500 is an Israeli broker based in Tel Aviv and they are publicly traded on the London Exchange. Over the years, Plus500 has attracted a large number of loyal customers and have made a name for themselves for being trustworthy and professional. The Plus500 demo account is unlimited and it does not require any deposit. However, it is Plus500’s dedication to staying relevant that earns them a spot on the list of the best CFD brokers. InstaForex offers a good selection of forex and CFDs on several instruments and they have all the necessary license to offer trading in Europe and elsewhere in the world. This broker is as modern as brokers can be with state of the art platforms, excellent charting tools, and great customer service. 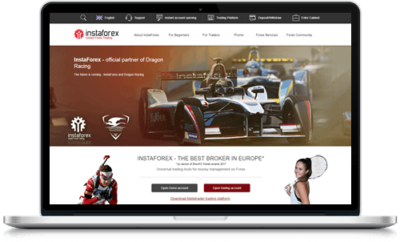 All in all, InstaForex provides an unparalleled trading experience and that’s why we think they are a top CFD broker. This broker is also constantly growing and we are certain they will take over more and more market shares over the next coming few years. 24Option was one of the best binary options brokers for many years but has since completely rebranded into a CFD and forex broker. 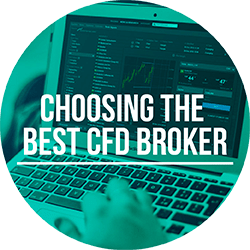 Today, the broker is one of the absolute top CFD brokers in the industry and most other brokers could only dream of ever competing with 24Option. 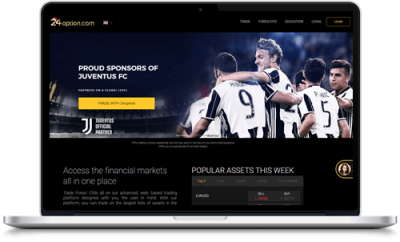 Moreover, 24Option is the official sponsors of the Italian football team Juventus which is another sign of how serious and dedicated this broker is to be forced to be reckoned with. They are, like all brokers that is in this top list, available to UK traders and European traders. All of the brokers listed in this article is available in the UK and most European markets. The brokers listed above are not available for USA traders, except eToro who might accept US traders on their crypto exchange. We, the team working at BullMarketz.com, have many years of combined experience from several markets and all types of trading and thus during our years in the business, we have tried many brokers. Due to our extensive experience, we know what should be required from a good broker and we are more than willing to share that information. Note that the CFD market is constantly changing with new brokers being added on a daily basis, which means that the list of the best CFD brokers is constantly being updated. We work hard to keep our list of recommended CFD brokers as up to date as possible, and we add and remove brokers from our list as needed. The above-mentioned brokers are the single best brokers right now. However, we also provide a complete list of all the CFD brokers we recommend at any given time. We have also recommended a few other services and you can find them in the top menu. However, if you are looking for a great broker the following list will have at least one that will fit your needs. Again, click the link to read a full review or use one of the buttons above to be redirected to the broker’s sign up page. Once again we want to clarify that we only recommend the best brokers in the world. Our goal is to help you find a good broker that you can use for a long time. There might be options on the market that we haven’t listed and there is always a reason to why that is. For example, we might find a broker that is licensed and has a good selection of assets but a platform that is subpar compared to their competitors. In that case, we would most likely decide not to list them. We are constantly reviewing the market and checking for updates from the brokers we have listed (to see if they should be delisted) and brokers that we haven’t yet listed (to see if they qualify). That means our list of recommended brokers is constantly changing. There are also a large number of unregulated and unlicensed brokers that we don’t even pay attention to, at least not until they are approved by either the CySEC or FCA. And even after that, we keep them in “quarantine” for some time while we evaluate their progress and dedication to offer a fair and safe product. 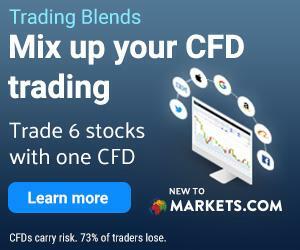 What CFD Trading Platform ? There are several factors that you need to check before deciding on a broker to use. Some of these aspects are crucial and some are more about personal taste. Below you’ll find the most important criteria that all brokers should live up to. We have already evaluated and reviewed all the brokers that we recommend so you don’t actually have to go through this time-consuming process. But we still thought it would be helpful to explain how the process works in case you would want to do your own research. License and regulation – The first and most important thing to check is if the broker is regulated and if they have all the licenses they need to operate. An unlicensed broker can easily rip you off and walk away with your money without any consequences. In order to receive a license from one of the leading authorities in the industry, a broker needs to follow strict guidelines, volunteer to get audited on a regular basis and offer certain services and protection to their customers. Because of this, most brokers are proud of their licenses and they never try to hide this information. Usually, you’ll find a broker’s license further down on the website or under the “About Us” tab. The leading regulatory bodies in Europe are the Cyprus Securities and Exchange Commission (CySEC) and the Financial Conduct Authority (FCA, Great Britain). Available Assets – After you confirmed that the broker is licensed and regulated you need to have a look at the selection and you have to make sure that the instruments that you want to trade with are available. CFDs can be traded on pretty much any market and asset which means that many CFD brokers offer thousands of assets. In our opinion, the best CFD brokers have many assets in several markets because it gives you the freedom to invest in what you want as well as the option to switch things up. 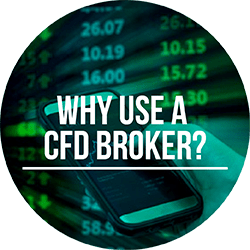 Many of the CFD brokers we recommend offer some of the most popular asset classes like forex trading, stocks and indices, commodities such as energy and metals, and cryptocurrencies. That being said, not all brokers offer all of the markets but most offer at least a few of them. No matter what market you are looking to trade on you can rest assured that we have recommended the best CFD broker for that specific market. Many of the leading CFD brokers today provide access to MetaTrader’s products, and if you start trading CFDs professionally, you will run into this software sooner or later. The most common CFD trading platform is the MetaTrader 4 but the MetaTrader 5 is steadily growing in popularity. Also, the MetaTrader Webtrader is offered by a consistently growing selection of the best CFD brokers. Best CFD trading Platform – The third and final of the crucial selection steps is to make sure you like the broker’s platform. There is a multitude of different platforms that can either be developed by the broker or by third-party companies. It is important to take a close look at the different features and tools and see if they are beneficial to you. Trust us, using a broker with a platform you don’t like will quickly get miserable. The best way to test a trading platform is by opening a CFD demo account that lets you trade without risk. Trading fees – All brokers come with different trading fees, even though there are some standards in the CFD industry. Always make sure you understand the fees that the broker your trading with has. Some charge very high fees and some brokers offer more reasonable fees. Usually, this information is easily accessible on the website, if it’s not, you can find it in the terms and conditions. A quick note, if it’s not easily accessible that is a warning side. Does the broker have a reason to try to hide its fees? Ultimately you are responsible and it’s your responsibility to understand the fees of the broker you are conducting your trading with. There are many important aspects that play a role when you pick a CFD Trading platform, it is very important to consider regulation, license, trading fees and such but possibly the most important thing is to pick the best trading platform. Why? Simply because this is what will make or break your trading. Offers all the technical tools you are looking for. A design that appeals to you. Offers basic services such as stop loss and negative balance protection. Give you the best trading experience. Why use a CFD provider? What is the main difference between a CFD-broker and the more traditional way of buying stocks? There are both pros and cons to using a CFD-broker. We are going to list some of the positives of using a CFD broker. Leverage – Leverage is something that most brokers offers and one of the main benefits of using contracts for difference broker. Leverage gives you the ability to enter trades that are bigger than the amount you physically invest by using credit. Let’s say that you invest $100 dollar buying a stock with 10 x leverage. You will then have invested $1000. Leverage works both ways. It will increase probability if you have done successful investments but it will also increase losses It’s a way to increase your potential profit from a certain investment, and it makes it possible to experience gains from speculating on even the smallest market movements. Essentially, leverage provides you with increased buying power. Leverage is excellent if you know how to use it and can be dangerous if you have no clue what you are doing. Read our full introduction to leverage trading here. 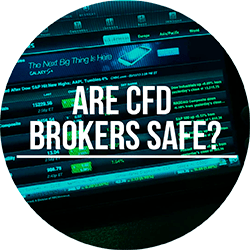 Safety – When you use a regulated CFD broker, you are guaranteed a certain level of safety. You see, in order to be regulated a broker needs to live up to a certain standard in terms of fairness and security measures. They also agree to be audited on a regular basis. This means that you can feel safe that you won’t be scammed or ripped off when using one of the best-regulated brokers in the world. Just note that a broker can’t protect you from possible losses. Ultimately, it is your responsibility to trade smart and avoid losing too much on the way. Margin – A margin is essentially a loan that you broker provides to you. Depending on what asset you are trading the brokers offers different margins. It can be double your investment but it can also be several times higher than the funds in your account. Margins, like leverages, can be genius if used in the right way. Needless to say, margins also comes with risks. Make sure you know what you are doing. Cost – There are so many markets and so many localized rules to trading that applies to taxes, stamp duty and so on. CFD-trading is in many markets a cost-efficient way to trade. Most of the brokers that we recommend are commission free meaning no commission will be charged on your trades. Also, they all compete in trying to offer the most competitive spreads which push the cost down even further. As if that wasn’t enough, fees are usually kept to a minimum and are only applied where necessary. Short – Going short? Then you should for sure use a CFD-broker. Short trading is generally considered pretty hard to do when doing more traditional stock investments. CFD-brokers offers excellent tools for short trading. In fact, CFD trading is set up in a way where you have two options for every trade. You can either purchase a buy position or a sell position. A buy position is a traditional investment (buy low sell high) and a sell position is what is called short selling or betting against the market. Education – Every single broker that we have recommended to our readers provides educational material and training. Typically, this material ranges from written guides with examples to animated videos, live trading, and webinars. The material also tends to apply to beginners as well as more experienced traders and can be really useful at times. Advanced trading platforms – It is no secret that CFD brokers are years ahead when it comes to their platforms. Are you looking for helpful features and easy to use platforms that makes trading both more fun and more profitable? Then you should pick a CFD broker. Yes, every broker recommended on this page is completely safe to use. You see, your safety is of high importance to us and we want nothing more than to recommend you a safe trading environment in which you can thrive. In order to ensure that each broker we recommend is safe, we look at regulation and the licenses that the brokers have. Moreover, we also study the brokers’ past and make sure that they have a good reputation and that they haven’t been involved in any bad press. As mentioned, we would never recommend a broker that we wouldn’t feel comfortable using ourselves and every broker on this site is safe. Also, all of our reviews are unbiased meaning we’ll let you know if there is something we don’t like about a particular broker or if we encountered any problems and issues. 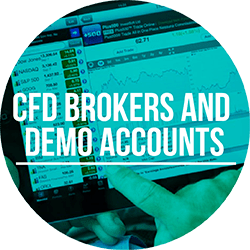 We believe that CFD trading demo accounts are such an important part of every broker’s selection of tools that demo accounts deserve their own section on this page. A demo account is a free account that can be used to trade on a broker’s platform without having to risk real money. Instead, the broker provides you with a predetermined amount of virtual money that you can use freely, and the account is usually refilled automatically when it reaches a certain minimum level. Most professional traders would agree that a demo account needs to be a part of everyone’s CFD investment strategy and today all the leading CFD brokers, with two or three exceptions, offer them. Using a demo account in combination with a regular trading account can be beneficial for everybody from beginners to traders with years of experience. In fact, we use demo accounts on a daily basis and suggest you do as well. The most obvious way a demo account can be used is by beginners. People that lack experience can use demo accounts to practice trading and to learn how the different features of a platform work. It’s like a free introduction to CFD and forex trading. At the same time, a demo account can also be used to evaluate a broker and their products. Is this a platform that I feel comfortable with or should I try another broker? For experienced traders, the demo account is used to develop strategies and try new investment techniques. Since you can use the account freely without losing your own money, it’s perfect for when you are trying to get a grip on a new strategy. It doesn’t matter if it’s a new stop-loss technique or an analytic tool that you haven’t used before – a demo account is essential. Demo accounts also fill a purpose for the broker. By offering a free demo account, brokers can attract new customers and tell them to sign up for a demo account before they start trading. This has proven to be a very useful and effective strategy that is implemented all over the industry. Brokers also benefit from the fact that demo accounts support their transparency. A scam broker wouldn’t offer a free demo account to anyone since it wouldn’t make them any money. However, a legitimate broker knows that if the potential client likes their demo account, they will most likely register for a regular account as well. The legal status of CFD trading is a subject that’s often discussed and riddled with unclarity, which is why we decided to clear things out. So what’s actually going on and how do the laws look around the world? Plus500 and Markets.com, are even listed on the London Stock Exchange. Here you can find the best CFD brokers in the UK. If you are looking for the best forex trading app in the UK, best forex broker UK, or the best trading app UK, you might want to follow the links. These are our UK specific requirments of CFD Brokers. Please note that all brokers listed on this page are avalible to UK Traders. Fees and commission – Most brokers have different fees and charge different types of commission. Platform – Many brokers offer their own platform, others offer the industry standard MetaTrader 4 or the MetaTrader 5. Make sure you know what you are signing up for. Functions and trading support – This aspect goes hand in hand with what we mentioned above, make sure the platform supports the functions you need to have to be able to trade. Regulation – Always make sure the broker is regulated and licensed. Demo account – We recommend that you sign up for the free demo account first that way you can try the platform out before you commit and spend your money. Why choose an FCA regulated broker? If you are a broker in the UK, you need to have a license from FCA to operate your brokerage. Any broker not regulated by the FCA is most likely a scam. This is why you always need to pick brokers that are regulated by the FCA. The FCA license means that the Financial Conduct Authority has full insight into the operations of the broker, they run regular checks and audits and make sure the broker acts according to the regulations. The FCA is a watchdog for CFD brokers, banks, and similar services. How do you know if a broker is FCA regulated or not? They clearly state this somewhere on their home page, and as a rule, you can always find the license number in the footer. Also, all the brokers we recommend are licensed so you can always opt for one of them. FCA is open Monday -Friday, 8 am – 6 pm, Saturdays 9 am – 1 pm. Why would you contact the FCA? Well, if you experience any troubles with UK brokers it’s the FCA’s duty to help you find a solution to your problems. If you have been exposed to a scam, wish to file a complaint or simply consult with an expert we recommend that you contact the FCA. This concerns only FCA regulated brokers. And remember, the FCA is on your side. CFD trading in the UK is quite different from elsewhere in the world for several of the reasons we’ve mentioned on this page. For example, since the Financial Conduct Authority (FCA) is based in the UK, many of the best CFD brokers have their headquarters in London. Even the brokers that aren’t based in London usually have a connection to the UK thanks to the FCA. In addition, the availability of spread betting and the fact that it’s tax-free in the region means top CFD brokers can offer unique and exciting products to British traders. A good example of this is Trade.com which offers CFD trading, forex trading, as well as stocks from the market via their DMA platform. Moreover, the UK also has some of the most beneficial and lenient regulation regarding CFD trading which creates perfect conditions for anyone looking to get started with derivatives trading. Hence why the UK has an especially favorable market unlike the market in the US where CFD trading is banned, or South Africa where many brokers are still not available or only offer limited products. CFD trading is banned in the United States meaning no one is allowed to offer or participate in CFD trading within the country. The US is, in fact, the only country in Europe and North America, with the exception of Belgium, where CFD trading isn’t allowed. Contracts for difference trading has become more and more regulated in Canada over the last few years and there is a high probability that they will join the US and introduce a complete ban soon. It’s very hard for brokers outside of Canada to offer CFDs to customers in the country and the brokers that are allowed are being tightly regulated and forced to be very clary with the risks involved in speculative trading. At the moment, Europe has one of the strongest CFD markets in the world with most of the world’s brokers offering their services to European clients. For a broker to offer CFDs in Europe they have to either be regulated by the Cyprus Securities and Exchange Commission (CySEC) or the FCA. This means all the brokers that we recommend on BullMarketz.com are authorized by at least one of them. Note that in early 2018, laws for CFD trading in Europa was updated with stricter regulation on margin and leverage, affecting all asset classes. In Australia, they have one of them to regulatory bodies for securities trading in the world. CFD brokers in Australia are only allowed to offer their services if they live up to tough requirements. The Australian Securities and Investments Commission (ASIC) is an independent government body that regulated CFD trading in Australia and the rest of the Oceana. Due to their strict regulation, an ASIC license is highly valued in the rest of the world. Not many brokers are based in South Africa even though the market is strong and stable. However, the country has one of the most respected regulatory bodies in the world. The Financial Service Board (FSB) regulates CFD trading in South Africa but also in many other African countries. As you might already understand, finding the best CFD broker is of utmost importance for everyone looking to trade. We’ve explained that just because a broker has the best CFD trading platform it doesn’t necessarily mean that it’s the best broker. There are, in fact, many other requirements that should be fulfilled for you or anyone else to consider using them. If you use a broker that’s regulated and safe, and that has been recommended by us, you can rest assured that you will be safe and have a pleasant trading experience. Regulatory agencies are extremely strict when it comes to auditing and checking the brokers they regulate. The point we’re trying to make is that you need to be careful when trading CFDs online and you should never accept anything less than the best CFD broker. The easiest way to make sure you’re using one of the best is to follow our recommendations. However, if you insist on finding a broker on your own we suggest you also follow the instructions we’ve provided above. They’re easy to remember: make sure the broker is regulated and safe, double check that they offer all the assets that you are looking to trade with, and lastly make sure that the broker provides access to one of the best trading platforms available. All kinds of trading are associated with risk but that doesn’t mean you should expose yourself to unnecessary dangers. Always be safe and only settle for the best in the business. And the best way to do so is to use brokers that are recommended by us since they are required to protect their users at all times. They are also subject to audits to make sure the service they provide is fair and safe. Regulation and License – This is one of the most important things to check out. Normally a broker would be licensed by CySEC or FCA. There are a few other good licenses as well. Make sure the broker is fully regulated. Reliability – Can you trust the broker? If a broker has a license it can most often be trusted if the license is legit. Make sure to do your research, read around on forums and check out reviews. Assets – Of course, this should be at the top of your list. Does the broker offer the assets you are looking to trade? Platform – Most brokers offer a free demo account, make sure you sign up for it and test their platform. It’s free so why not? Many brokers offer the industry standard platform MT4 (Find broker) or MT5 (Find broker). But a few brokers offer custom platforms. Commission and fees – All brokers will charge a fee. Make sure you know how much. Mobile vs Desktop – What device are you looking to trade on? Mobile or Desktop? Keep in mind different platforms specializes in different devices. Analysis and functionality – Do your research here when choosing a broker. They offer different functionalities that will help you trade better. Does the broker that you want to use offer the functionalities you need to execute your trading in a perfect way? Today we have so many platforms that this is a no-brainer. You need to have high expectations of your broker. Personal preference – This one should not be underestimated, not at all. Picking a platform that feels right is probably one of the most important aspects. You will spend many hours in front of this screen. Make sure the platform is easy on your eye and that you have fun while trading. If you’re trading CFDs and have been using and evaluating several brokers, you’ve probably run into the expression spread betting at least a few times. But what is spread betting and how is it different from CFD trading? Spread betting and CFD trading are very similar to each other and typically offered by the same CFD broker. Both types of trading are speculative, meaning you don’t buy any securities but rather speculated on the value of underlying assets. Your goal with CFD trading and spread betting is to predict whether the value of an asset will increase or decrease. They are also both leveraged products. One of the major differences between CFDs and spread betting is that spread betting is time-limited, whereas a CFD contract can be held open for as long as the investor feels like. Spread betting is also always commission-free and there are rarely any transaction costs connected to spread betting. So why do some of the best CFD brokers offer spread betting is it’s basically the same thing? The answer is easy and it has to do with taxes. In many jurisdictions, spread betting is considered to be betting and not trading which means they’re offered under two separate sets of regulation. And in the UK, all forms of betting, including spread betting, is tax-free. In other words, as a British trader, you can partake in spread betting in the UK without having to pay taxes, and the broker itself has similar benefits. That is the main reason why some CFD brokers offer spread betting, and why it’s usually only available to British CFD traders. 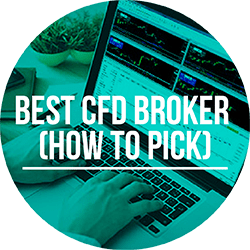 We are reaching the end of this article on how to pick the best CFD broker and we hope that we have made your choice a bit easier. A few key takeaways from this article would be to always choose a regulated broker for safety reasons. Also, make sure that the license they have is real and issued by a serious authority in the industry (such as CySEC or FCA or similar). It could also be a good idea to read a bit on forums to hear what people have to say about the broker. Be a bit careful with this one as many people who have lost money tend to leave noncorrect and very subjective comments. In terms of the platform, there are a few things you need to check out. Make sure the assets you want to trade are available. Also, go through the functionalities offered by the broker, do you need stop loss? Any other functions you are expecting? Lastly, make sure that you like the product you are using and that it’s easy for you to spend several hours per day on the platform without getting bored. Good luck! We hope that you find the broker that you are looking for.